L to R: Rose Letwin, Tom Campion, board member of AWL, and Cindy Shogan, Executive Director of AWL. Photo courtesy of Alaska Wilderness League. 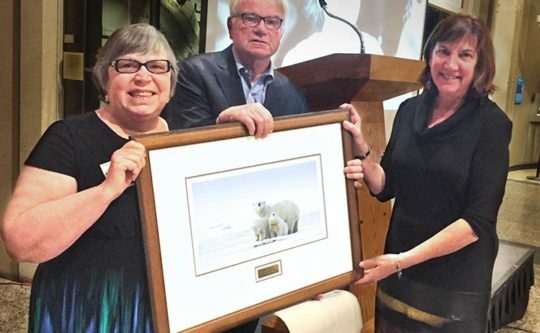 On October 11 2016 the Alaska Wilderness League (AWL) presented Wilburforce Foundation’s founder and president Rose Letwin with its 2016 Voice of the Wild Award. 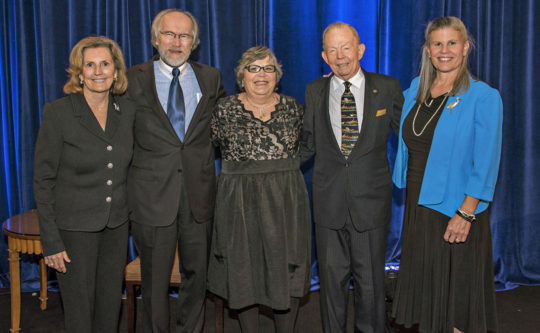 The award recognizes individuals who have made a significant and long-lasting impact on protecting the amazing places and wildlife of Alaska. In accepting her award, Rose spoke about the importance of protecting wildlands for wildlife. 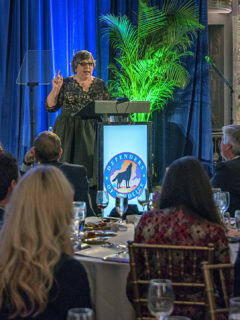 Rose Letwin, founder of Wilburforce Foundation, was honored on September 29th, 2016, with Defenders of Wildlife’s Spirit of Defenders Citizen Advocacy Award. 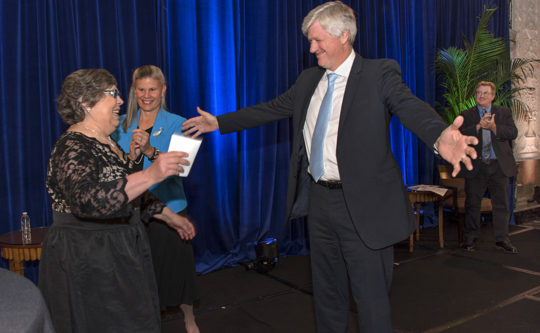 Defenders recognized Rose at their annual Conservation Awards Dinner in Washington, D. C. as an individual who has made a lasting and exceptional commitment to wildlife conservation. Rose founded Wilburforce Foundation in 1991 with the vision of a thriving, interconnected North American West that could foster healthy wildlife. As its sole funder, she has demonstrated her long-term commitment to sustaining the wild places that animals need to thrive. Read more about Rose and Wilburforce Foundation.